At MetalWorks we offer prepped, painted, and assembled Art Morrison chassis. We can also make your AME chassis a roller with drive train set in place completely ready for your classic’s body. Are you considering an AME chassis, or have questions? Give our Speed Shop a call and talk with an actual hot rod builder about the most important component of your car build at 541-341-3372. 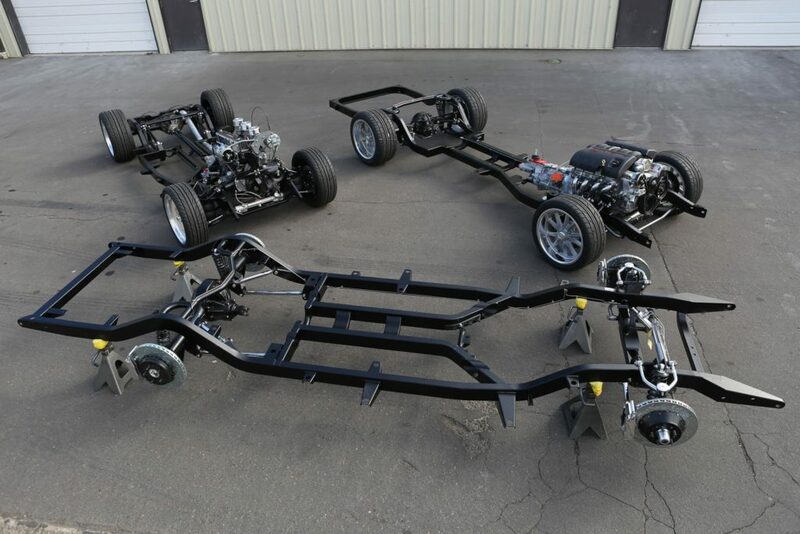 Prepped, painted, and assembled chassis ready for our customers. 1955-57 Chevy GT Sport chassis.